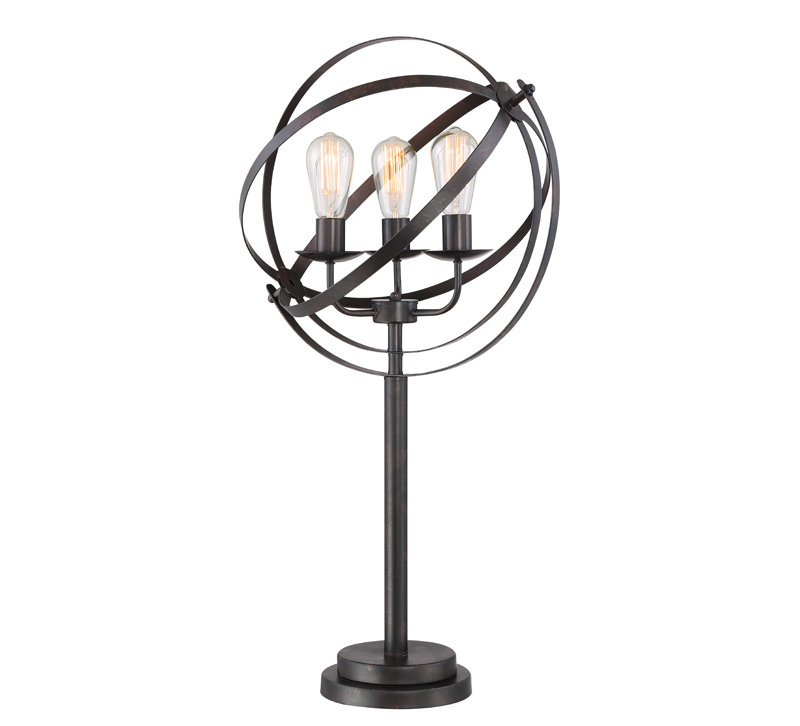 Orbiton, a best-seller from Lite Source, features a retro style, designed to look equal parts nautical and industrial. The vintages Edison bulbs not only bring out illumination but also highlight the details of the rustic finish of the metal shade. Also available as a floor lamp.